The University District is one of Seattle's oldest communities, boasting tree-lined boulevards and turn-of-the-century mansions. 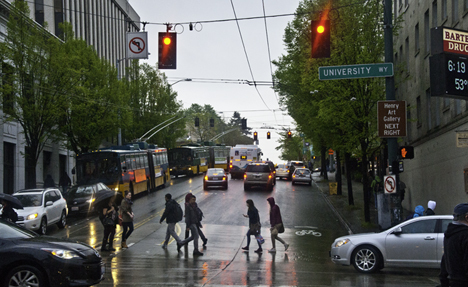 Both exist side-by-side with high-tech development centers and the University of Washington. The District caters to the needs of more than 50,000 students and staff, in addition to a base population of 35,000. Two unique commercial districts, "the Ave" and "the Village," provide residents and visitors with continental shopping, dining and entertainment.